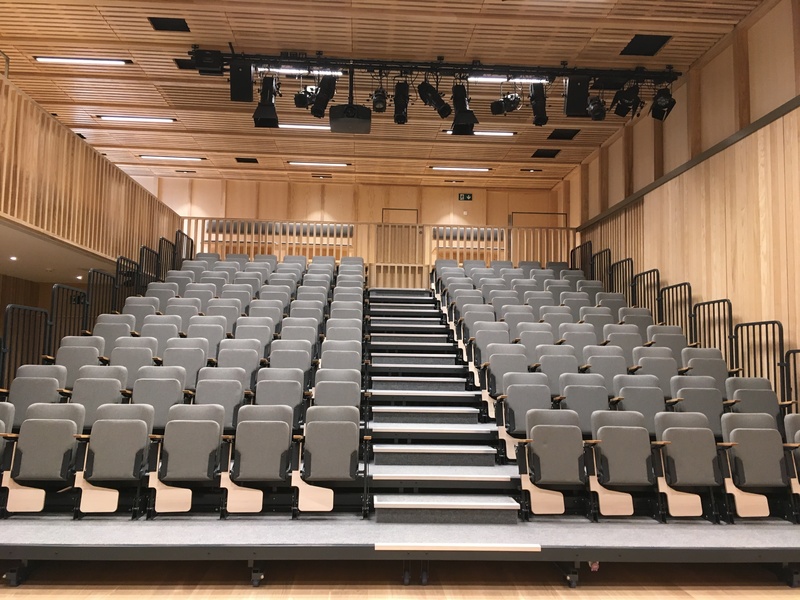 The Frankopan Hall in our brand new West Court development provides an excellent venue for conferences and meetings, seating up to 150 delegates. 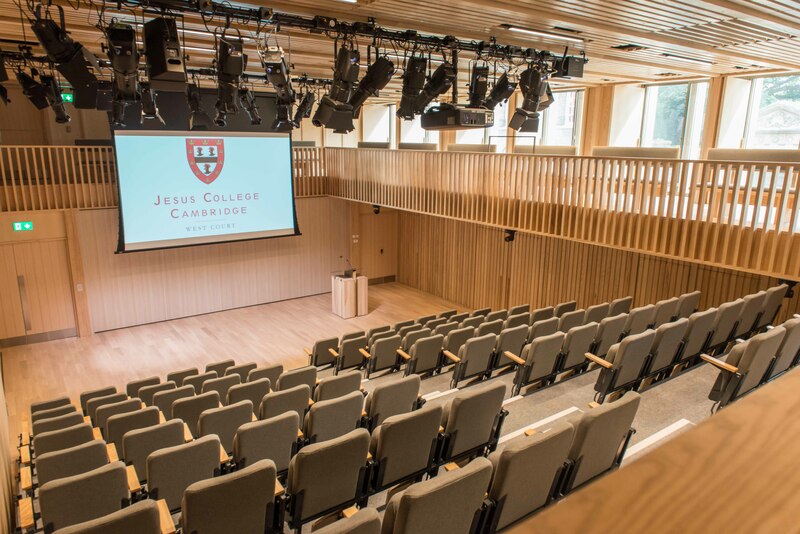 Our new Frankopan Hall is a multi-functional space providing the ideal venue for conferences, meetings and presentations. 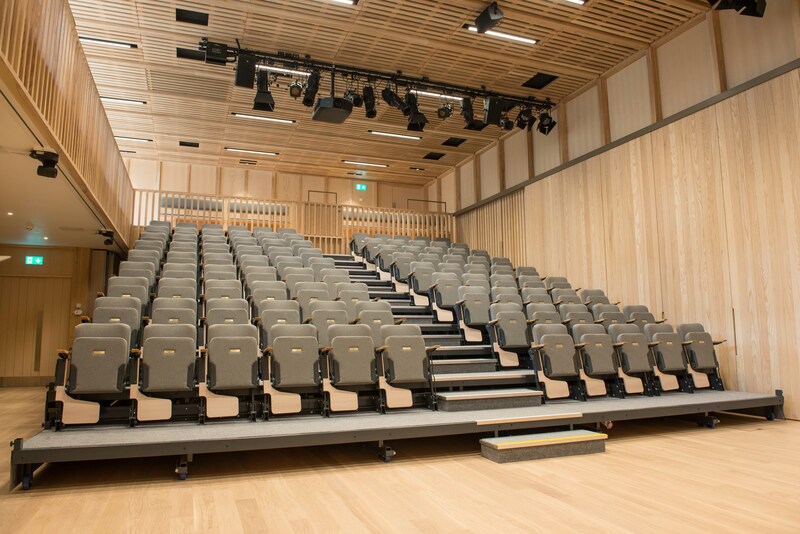 The retractable seating means that the room can be set in various layouts to suit the client’s needs. 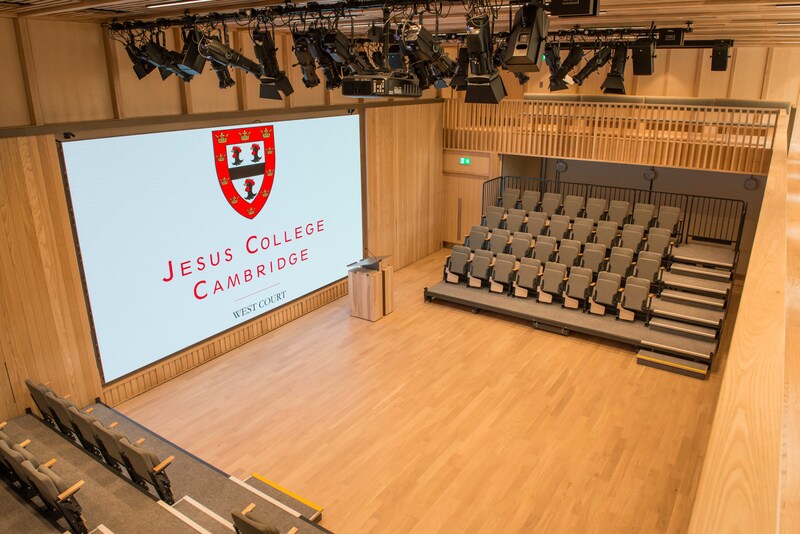 The state-of-the-art AV equipment in the Lecture Hall includes: a HD multimedia projector; dual screen display facility on 6m x 3.5m video wall and 4m x 2.5m projection screen; integrated house and stage lighting and professional audio visual system solutions.The nearby Foyer area makes an ideal location for registration, coffee breaks and post meeting drinks. 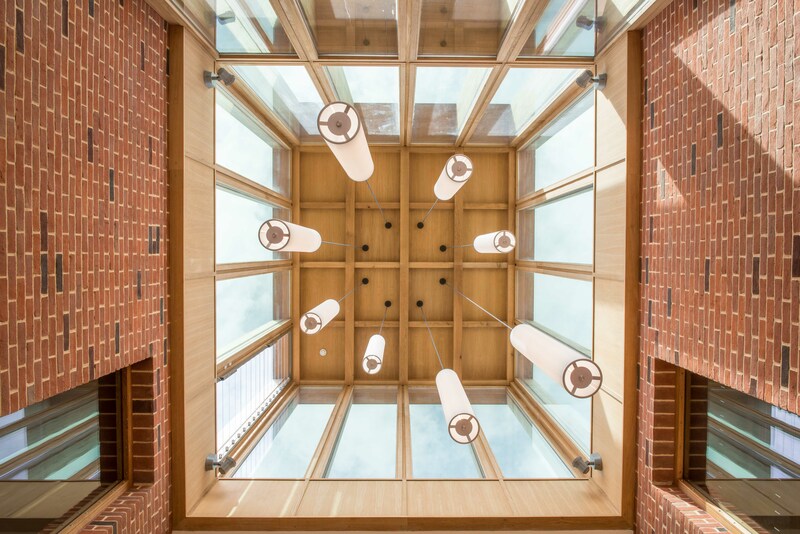 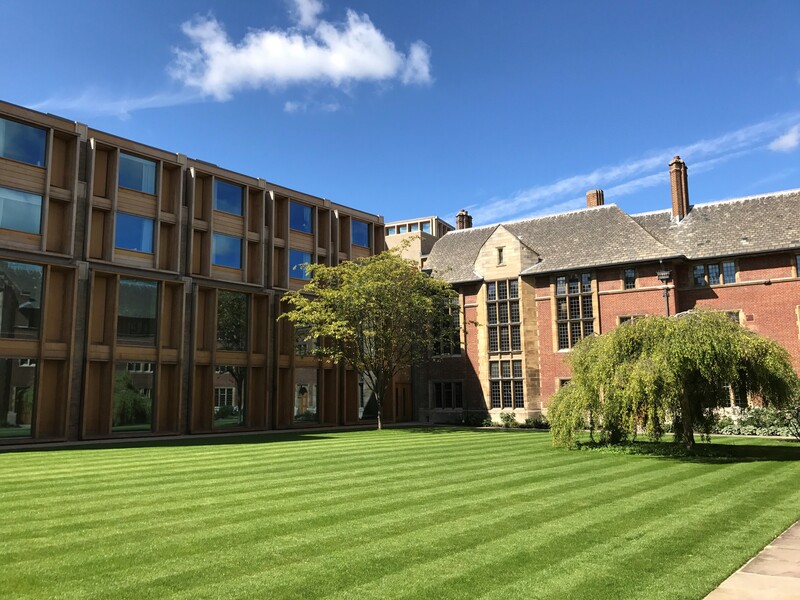 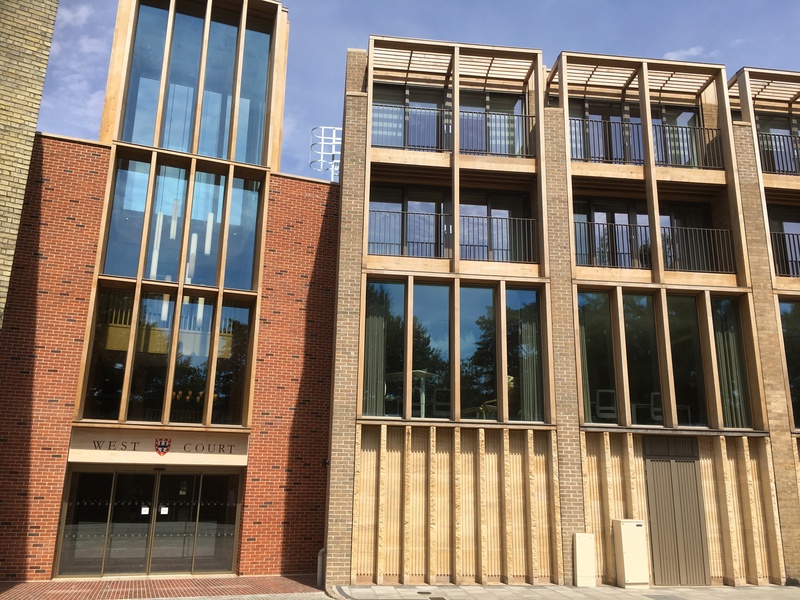 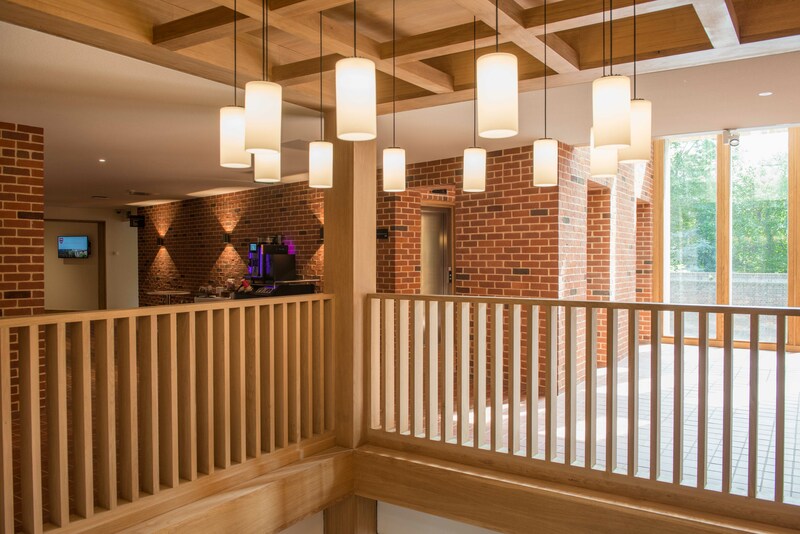 The Frankopan Hall can be used in conjunction with the Bawden Room, Webb Library, and the West Court Dining Room, perfect spaces for refreshment breaks, break out sessions and lunch. 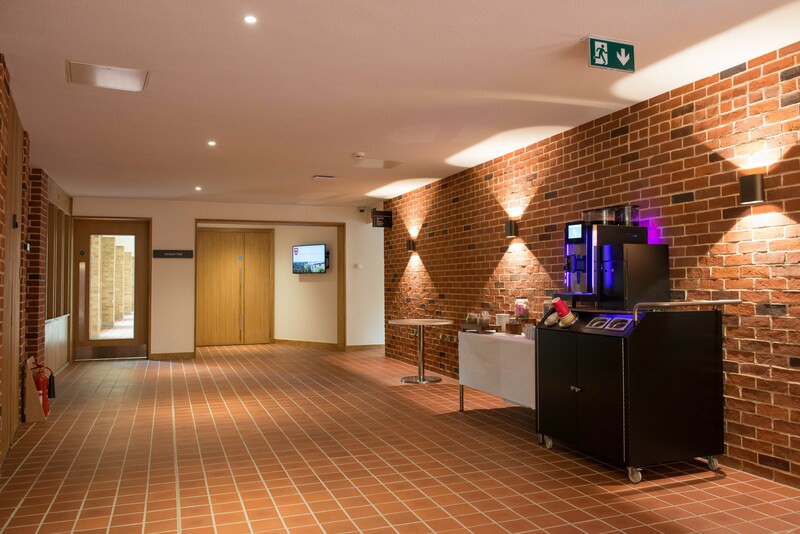 For larger events outside of term time lunch can also be served in the Hall.